KAMPALA – Members in leading opposition parties, Monday, October 8, reached a common position on the upcoming national dialogue. The opposition members also believe the national dialogue should be held urgently citing alarming situations in the country. 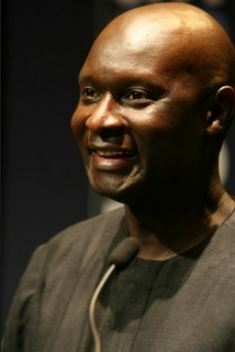 Addressing journalists, the former UPC president, Olara Otunnu said they have agreed that the dialogue should be serious, genuine, well prepared and fruitful. It is from this, that they have adopted seven elements which they say will guide the process of a successful dialogue. Key among the agreed terms includes an agenda, composition of the participants and modalities for convening the dialogue. “The government has to demonstrate its willingness to have this dialogue among other things guaranteeing Ugandans freedom to participate in political activities including freedom of assembly, association, and movement,” Otunnu said. Otunnu said as opposition, they are open to all opinions that will lead to a fruitful dialogue. Some of the leaders who have agreed to this common position include; DP party President Nobert Mao, FDC’s Patrick Amuriat, former FDC president Kiiza Besigye and Mugisha Muntu of the New Formation. The Inter-Religious Council of Uganda (IRCU) and The Elders’ Forum of Uganda (TEFU) released the final dates for the launch of the much-anticipated dialogue last month. According to the new programme, the launch is scheduled for November 21 during which the representatives from different groups will adopt the process frame paper which sets out the agenda and modalities for the dialogue. Sheikh Shaban Ramadhan Mubaje, the chairperson of the IRCU, on Sunday said the national dialogue is not an event, but a process, which he hoped its first phase would lead to the national conference. “We envisage that the first phase of the process will culminate into a national conference to take place in June 2019,” he said. According to Mubaje, the process will proceed along multiple tracks, with conversations led by the IRCU and TEFU. Sheikh Mubaje explained that the political party dialogue will be led by the national consultative forum and the inter-party organizations.